Human Resource Management is a strategic and comprehensive approach to managing people and the workplace culture and environment, an integral part of a successful company, playing a major role in getting the best out of and retaining valued employees. Effective HRM enables employees to contribute effectively and productively to the overall company direction and the accomplishment of the organization's goals and objectives. HRM plays as a key role in building the capacity of any organization, evaluating, compensation, leading and planning resources are different aspects of proper management of human resources, however the cycle of managing the human resources starts from the most important point and the main source of talents, which is recruitment and selection of the qualified resources whom are able to assist the organization to achieve its goals and objectives. More and more businesses are realizing that their strength lies in their people. 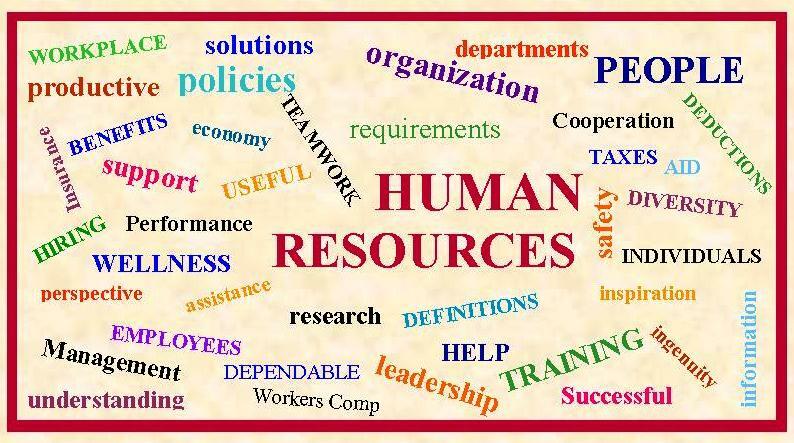 Human Resource Management is the organizational function that deals with issues related to people such as compensation, hiring, selecting the right people for the job, appraising performance management organization development, safety, wellness, benefits, employee motivation, communication administration, resolving disputes, determining and managing wages and salaries, planning personnel needs, providing benefits and incentives, management providing direction for the people who work in the organization and orienting & training. Human Resource Management is moving away from traditional personnel, administration, and transactional roles, which are increasingly outsourced. HRM is now expected to add value to the strategic utilization of employees and that employee programs impact the business in measurable ways. The new role of HRM involves strategic direction and HRM metrics and measurements to demonstrate value. How can KONTA help Organizations in having solid and professional Human Resources Department? • KONTA will Provide Human Resources Department assessments. • Activate and develop existing system, policies and procedures. • Set up Human Resources Department and develop & improve the Human Resources people by practical onsite training on the applied system, as KONTA will provide the Human Resources Supervisor / Manager with full training to have solid practices with all HR aspects in terms of Policies & Procedures, Rules & Regulation and Legal & Finance issues. • Can help Organizations grow their business. • Can be an integral part of helping the business focuses its attention on profitability, growth, retaining customers and on new product or service development the core elements of making companies successful. • Help in identifying the inefficient HR Administration processes and HR practices. • Help organizations to improve efficiency, productivity, communication and employee morale. • An aligned and focused organization designed to give you a competitive advantage. • Quality HR activities that support organizational goals and objectives with bottom-line impact. • Motivated and directed employees with increased satisfaction and lower turnover. • Improve employee’s efficiency and workflows to drive performance and eliminate non value-added activities. • Technology strategies that improve productivity and reduce management costs, instead of wasting time and money. • Avoid misunderstanding and miscommunication. • Increase HR impact and productivity by enabling in-house talent to focus on core business strategies. • Ensure smooth functioning of HR department. • Compensate for resource availability.